Gund is proud to present the Baby Toothpick collection of baby's first friends! 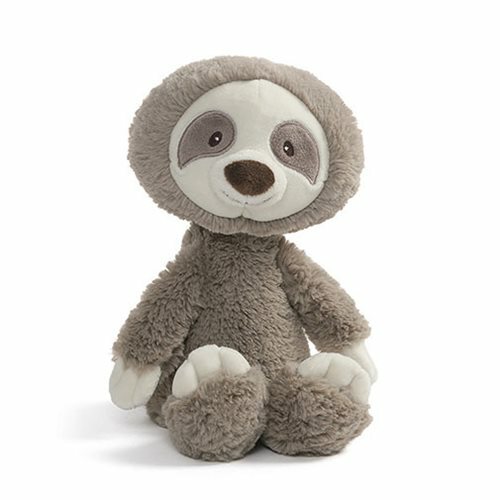 The Baby Toothpick Sloth 12-Inch Plush is made from premium soft baby plush in gray with embroidered accents around the eyes and big sloth smile. Machine washable for easy cleaning. Measures about 12-inches tall x 6-inches long x 5-inches wide.